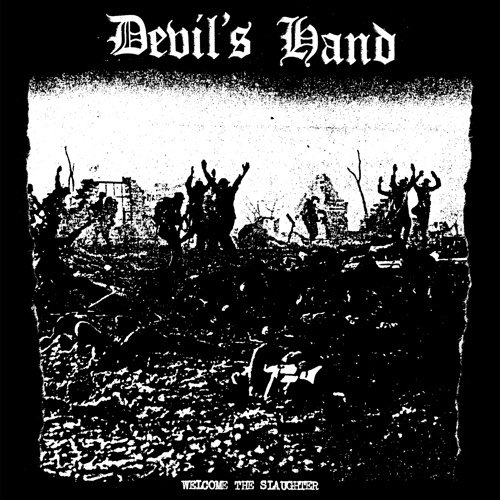 Man In Decline Records - Devil's Hand - "Welcome The Slaughter" 7"
Devil's Hand - "Welcome The Slaughter" 7"
Newest installment to the VINYL CONFLICT LABEL catalog ... the debut 7" from Richmond's DEVIL'S HAND. 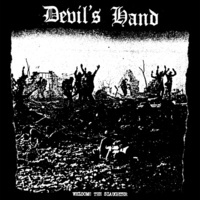 Comprised from your favorite cast of RVA degenerates (members of UNHOLY THOUGHTS, DRY SPELL, and SOUTHSIDE STRANGLERS), Devil's Hand tear through three tracks of their brand of total MOTOR-CHARGED mayhem. This EP is guaranteed to get fists pumping, long hair flying, bottles breaking, maybe even leave a stab wound or two. Or you might just sit on your couch listening to it while getting stoned out of your mind. Win-win.